These posts follow my nymph fishing journey with the best nymph anglers in the sport. 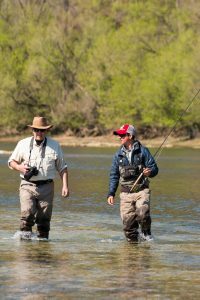 From Joe Humphreys and George Daniel to Ed Engle and Landon Mayer, each expert offers advice and insider tips about one of the most productive fly fishing methods devised by angler- Nymphing! 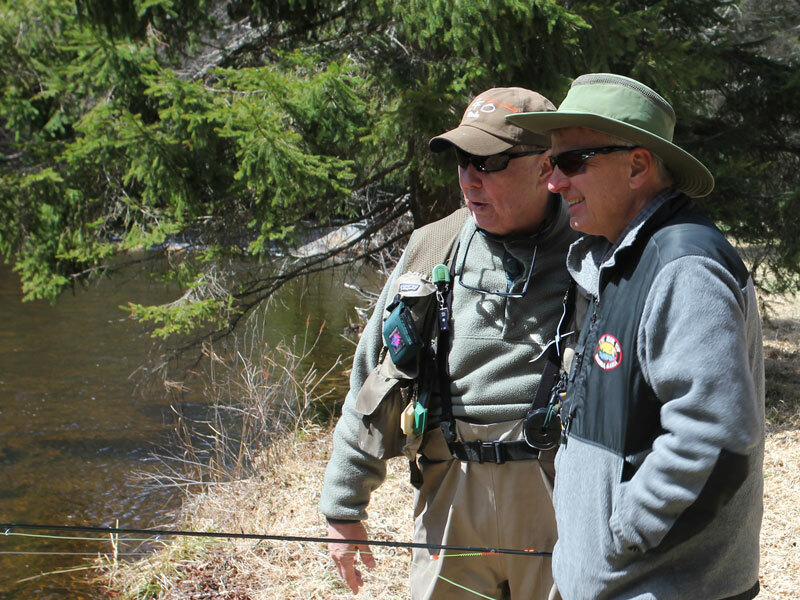 Casting tips from Lefty Kreh and Ed Jaworowski. 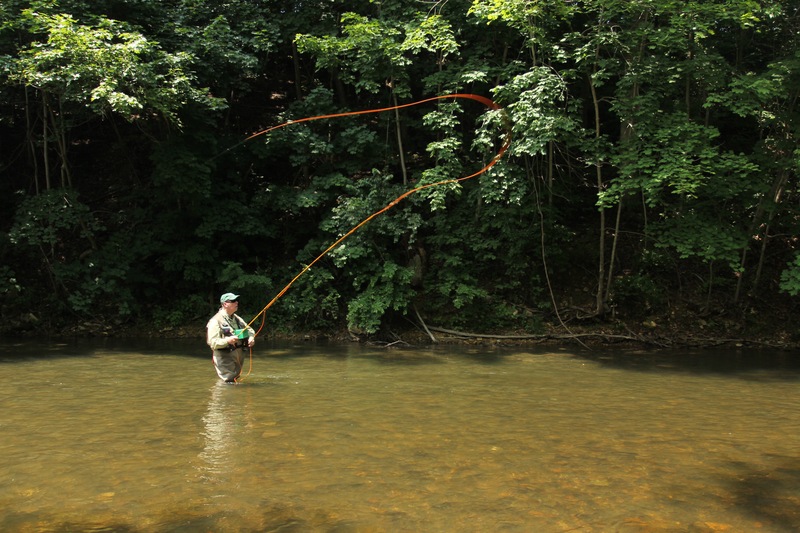 Dry-dropper tips from Ben Furimsky. Contributions from Gary Borger and Chad Johnson. Guide tips from Tom Baltz. Learn from the best! Hot new fly patterns will be introduced in a guide favorite fly section. 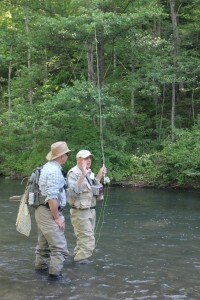 Find out what the guides are tying on. 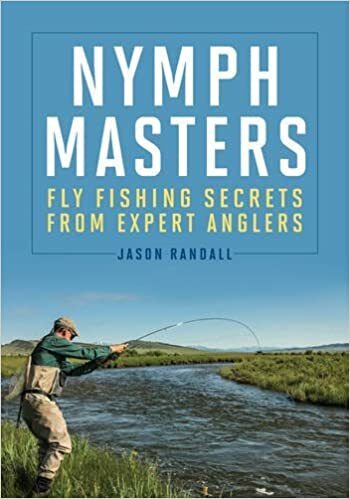 In January, 2017, Stackpole/ Headwater Books will publish ‘Nymph Masters; Fly Fishing Secrets from Expert Anglers’- a book filled with knowledge from the ‘Masters of the Nymph!’ Each master shares secrets learned from a lifetime on the water. Complete with underwater photos, this book delves deep into the art of nymph fishing- which technique to use when and where. 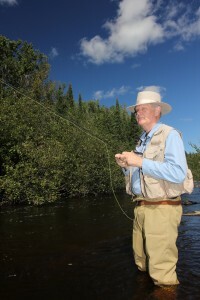 Got some great photos for the book from one of the premier fly line flingers in the sport- Ed Jaworowski- the renowned caster demonstrates the tuck cast in a photo series that breaks the cast down in simple terms. Ed and another casting genius, Lefty Kreh, are putting the finishing touches on a new DVD called the Complete Cast, which will be released this fall. A must have addition to every collection! Ed’s easy to follow photos clearly illustrate this cast- which is a ‘must have’ cast for the nymph angler. Get your flies to the bottom to maximize every drift. 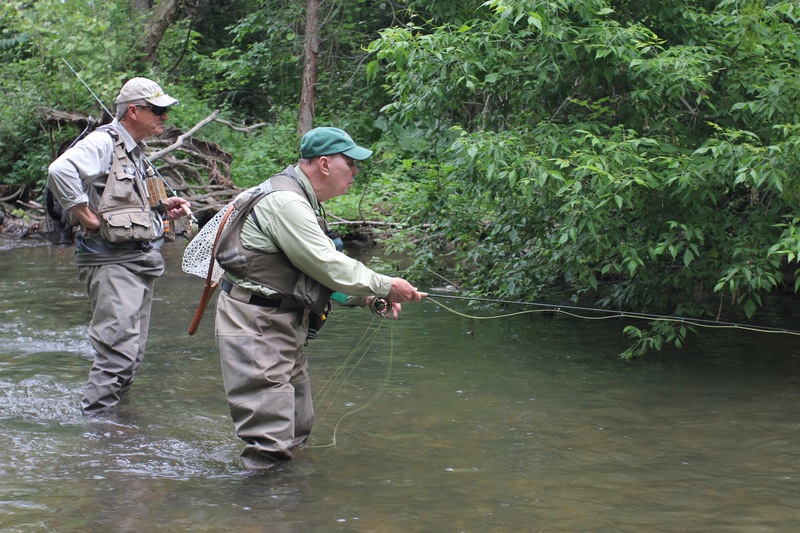 Next up, nymph fishing with George Daniel in Fishing Creek and again in the Driftless area of Southwestern Wisconsin. 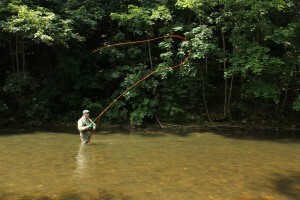 Fishing Creek, Pa- one of the best known rivers in Pennsylvania offers some mighty fine nymph fishing, especially with George Daniel. We began the day picking up a few trout with long line nymphing techniques and finished the day with tightline/ contact techniques in faster water. We picked up this nice trout at the head of a run lying beneath the fast water. Took a heavier fly to get our flies to him, but it was worth it. It takes a heavier anchor fly to pierce the faster currents that race over the best feeding lies. Line control is crucial in short line nymphing, got to have the right amount of slack to allow the flies a rapid drop to the bottom, but not so much that you lose control of the drift and let the river fish your flies. That’s a good way to miss strikes. 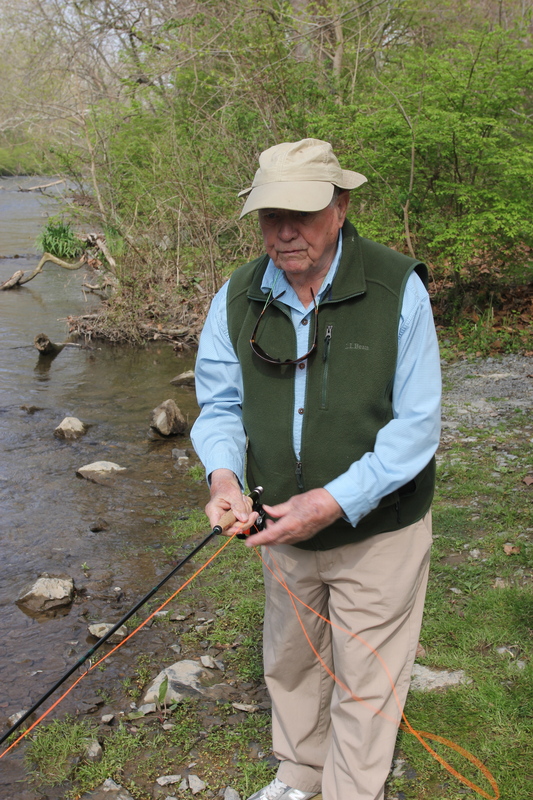 Next up, fishing with Joe Humphreys. Back to State College, Pennsylvania to spend time on the river with an retired instructor at Penn State University, an ex-wrestling coach and a former light weight boxer. If you guessed Joe Humphreys, you be right on all counts. Joe is a former instructor of fly fishing at Penn State and time with him is like a master’s degree in fly fishing! He demonstrated his ‘Downer and Upper’ cast to get nymphs to the bottom quickly in tight quarters. Several nice trout responded to his cress bug fly. 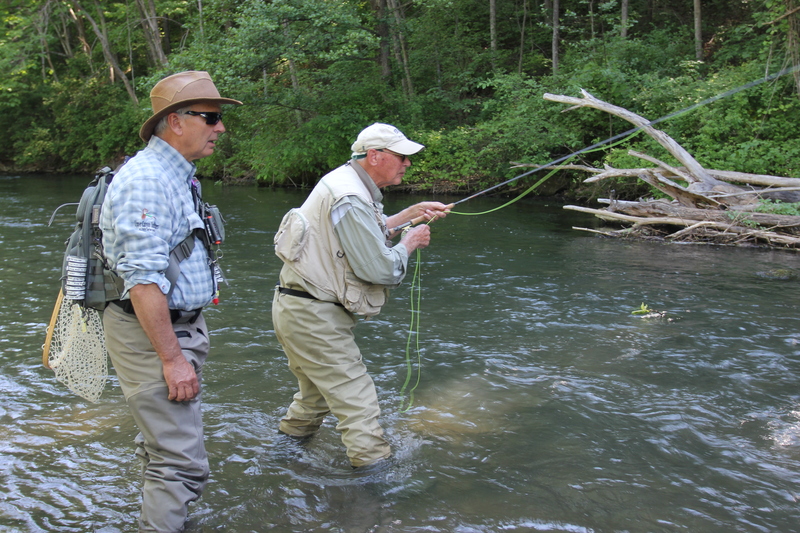 Next up, Fishing with Tom Baltz and Ed Jaworowski on the Yellow Breeches. Filming the tuck cast. We met at the little cafe in Boiling Springs and planned the day over coffee. 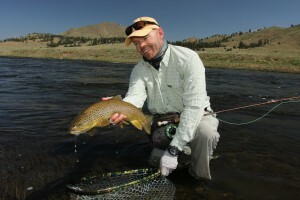 Without much in the way of recent hatches, our best bet would be nymph fishing… perfect! Dinner at the Boiling Springs Tavern is a fitting end to a special day on the Yellow Breeches in Southern Pennsylvania. adding a bit of sherry to the seafood bisque makes for a meal by itself. Over a few martinis, we discussed the days fishing, including a nasty fall for me when I hit a slippery, bowling ball sized rock. We had a great day, other than the fall. We fished with many of Tom’s patterns. Tom is more than just one of the top tyers in the sport- he’s also a top guide and excellent angler! Using modified long line techniques put our flies on target in a long tail out we picked up several nice fish. Tom uses the New Zealand style strike indicator system to perfection. Ed caught a worthy trout under the branches of this overhanging tree. Tom got in the action a little later on, catching a few nice trout. After a fine day and dinner, I was headed back home. In just a few short weeks, Jo and I were to head west. Our Journey next took us out west to Fish with Landon Mayer a rising angling star. We fished the South Platte River and saw his killer tension drift technique in action. It gives lifelike movement to nymphs under a floating strike indicator. We fished two days with expert angler and innovative fly designer Ben Furimsky and even a day with Ed Engle- a fellow biologist and skinny water expert. 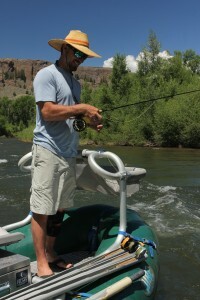 Ben Furmisky shared some of his hot dry-dropper techniques on the Gunnison River while Ed fishes high water. Weather was great, the company spectacular the the fishing memorable! We got a lot of great photos for the book and a lot of hot tips as well. Even a few laughs along the way. Turned in the first draft of the manuscript to Jay Nichols and the editorial team at Stackpole and they are working their editorial magic on it. Almost all of the photos are done and submitted. Jo is taking hundreds of photos of the flies each contributor has sent. What a bonus it is that each has submitted six to ten of their favorite flies. The first round of edits should be done in the next month and Tom Barnett will be working on the illustrations in the meantime. While we’re waiting for them, I’ll continue to update the journey we completed his summer. 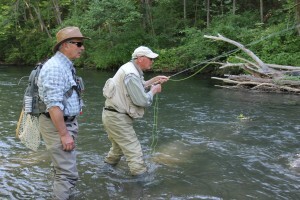 In August, Jo and I visited Gary Borger on his Northern Wisconsin home waters (before he move to Oregon, that is). Gary is on of the best angler’s when it comes to floating strike indicators and he had a lot of tips and ideas to get the most out of them. After lunch at a local Chinese restaurant, the owner of which seemed to know Gary pretty well, we headed to the local river and rigged up our rods The sky was that kind of blue found only in late summer. The water was a bit high from recent rains, but that didn’t deter us- we just had to be a little more careful when wading. Gary showed me his ‘homemade’ floating strike indicator, while Jo took photos of it for the book. Pretty ingenious. Jo and he talked photographic composition and the gold and silver means – the diagonals in each photo. 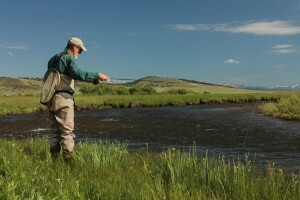 A last minute trip to the White River to fish with Chad Johnson to get some needed photos. 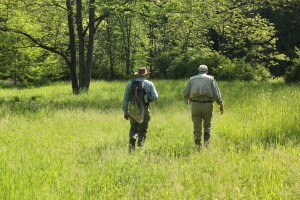 Steve Dally took this photo of Chad and I during a nice midge hatch. My journey with the nymph masters of our sport nears its conclusion. It’s been a fun and enlightening process, filled with laughter and memories. Lots of information, but a lot of fun, too. The manuscript is complete!! All of the photos and illustrations are finished for ‘Nymph Master; Fly Fishing Secrets from Expert Anglers’. It has passed through the initial and second rounds of edits and is in page layout where final organization and assimilation take place. The cover art should be finished next month and we’re still on track to release in January, 2017! Spent the summer celebrating the (mostly) completed book, but also Jo picked up a few key photographs that we were able to sneak in under the wire. 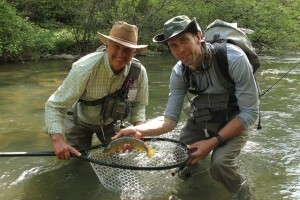 Fished with Ed Engle for a week in July. 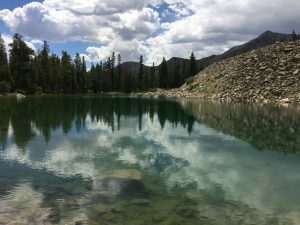 We hiked up a steep trail and found hidden treasure: A small a alpine pond with native cutthroat trout. We put on midge imitations and each caught a few beautiful fish. After lunch, we headed back down the slope. It was a marvelous day, but the hike reminded me that I need to hit the gym when I get home and drop that extra ten pounds…or so. All in all, a nice summer. got some photos for the book- Yvon Chouinard instructing us in the art of tenkara. Evan and Michelle caught their first grayling.